York Country Club's beautiful new facility is the perfect place for your special event. 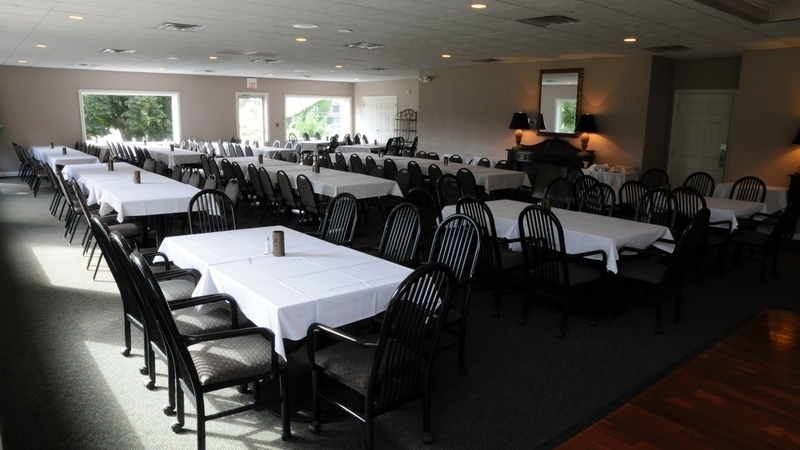 For larger events, the perfectly appointed clubhouse can comfortably seat up to 300 guests. The spacious clubhouse also features a dance floor, D.J. area, plenty of parking, and a fantastic view of the perfectly manicured 18 hole golf course. You don't have to belong to YCC to take advantage of this wonderful facility. You can reserve the clubhouse for your wedding, holiday party, or any other event. Call for prices, which includes linens, table settings and glassware. Our well-trained staff can provide you with courteous service to further enhance the occasion. Don't hesitate to take this opportunity to come out and visit us so you can see for yourself what our beautiful facility has to offer. Listed below are different menu options for your event. Please call us today for further information or to book your event at (402) 362-3720.